Recently I made a Summer Bucket List for myself. I’ve made these lists in the past, but typically had no real intentions of completing them. This year, though, I am determined to not waste my summer. Yesterday evening, after a ridiculously sweaty Zumba class with one of my favorite people ever, I was presented with the opportunity to complete one of the activities on my list. My friend Elizabeth, the aforementioned favorite person ever, suggested that we go eat dinner downtown at a place that neither of us had been to before. Eating somewhere new in Lexington is technically #21 on my Summer Bucket List, but I wont get too fussy about the details. 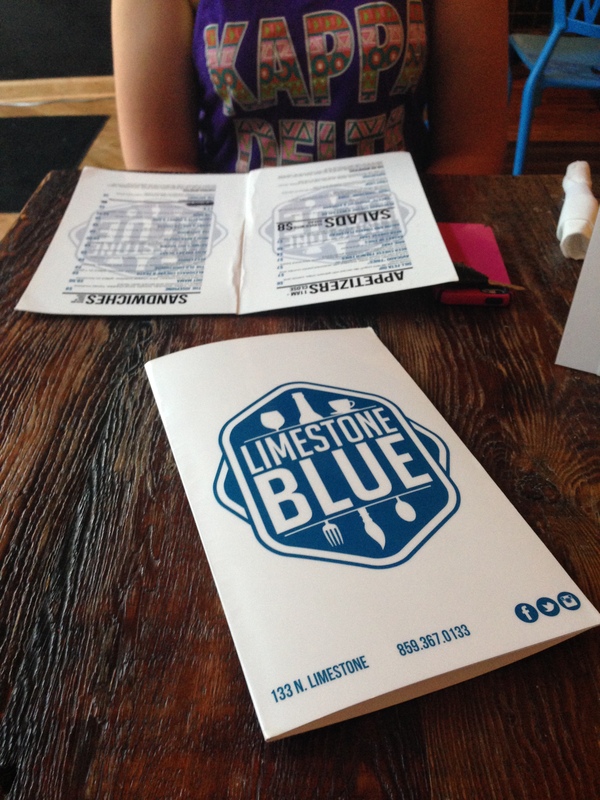 The new restaurant that we decided to try is called Limestone Blue. I had actually been meaning to visit this restaurant after hearing great things about it from my one of my professors last semester (thanks, TWA), so I was really excited when Elizabeth made this suggestion. Minus my embarrassing attempt to enter the restaurant through the wrong door, I would say that it was a successful meal. Another fantastic picture from the opposite side of the table. (My shirt is see through. I know. Once again, not prepared for this.) 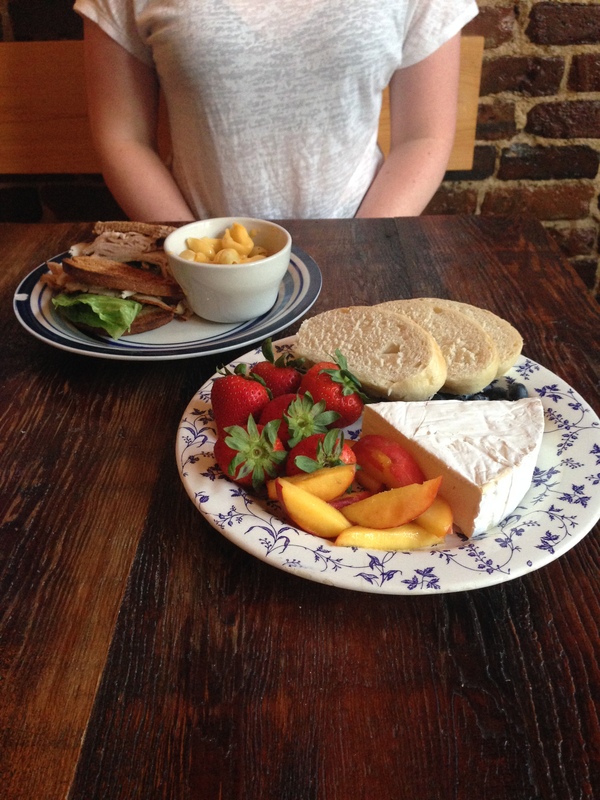 Elizabeth ordered the Brie Tray, which came with bread, strawberries, blueberries, and peaches. I ordered a sandwich called Geez Louise, which was comprised of turkey, swiss cheese, tomato, lettuce, and 1000 Island dressing. I skipped the dressing as usual, and both meals were delicious. Although I would give the food two thumbs up, my favorite thing about Limestone Blue is that they produce meals with local food, sell local art, and just generally aim to improve the downtown Lexington community. Overall, I thought that Limestone Blue was a really cool restaurant and I would definitely visit again. I’d love to try more restaurants downtown, so if you have a suggestion please leave it below! Summer Bucket List #2: I Read a Book!